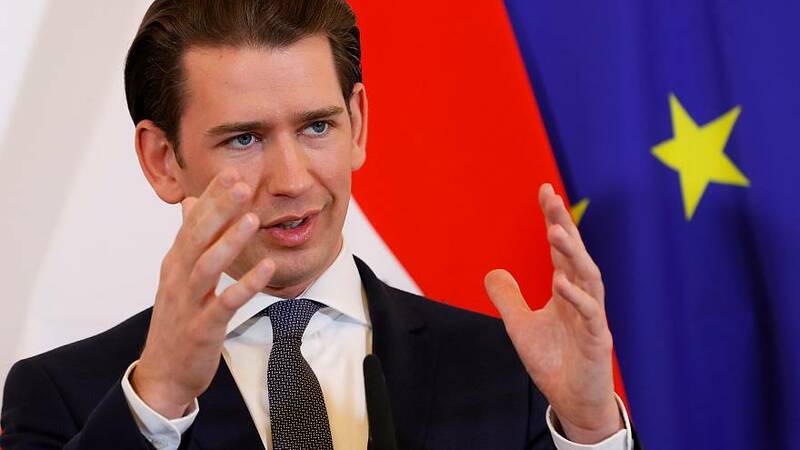 Austrian Chancellor Sebastian Kurz says he is in favour of a short Brexit extension in order to avoid the UK leaving without a deal and taking part in EU elections. "I think that an extension is better than a no-deal scenario and so for that reason she (British Prime Minister Theresa May) has our support, but we will have to discuss today how long the suspension should be," Kurz told reporters as he arrived at a meeting of EU leaders in the European People's Party — the EU's parliament largest group. "I think it is important that the UK does not take part in the European elections and it's also necessary to make clear how we can solve the open issues because a suspension is one step but the necessary second step is to find a way how to guarantee that we have not a no-deal scenario but a well-organised Brexit," he added. For the Austrian leader, the UK taking part in the upcoming European Parliament elections would be "absurd". "They are going to leave Europe and if somebody wants to leave the European Union, it wouldn't be understandable why this country should take part in the European elections," he explained. EU leaders are meeting in Brussels today (Thursday) to discuss whether to extend Article 50 past March 29, the official date of the UK leaving the bloc. European President Jean-Claude Juncker had said before MPs rejected the deal for a second time earlier this month that extending Article 50 until after the EU elections would require the UK to take part. But in a letter to EU Council President Donald Tusk on Wednesday, May requested Brexit be delayed until June 30 at the latest. French President Emmanuel Macron has signalled he could veto an extension — in order to be approved, the delay must be backed by all 27 EU leaders — unless May proves that she could pass the Withdrawal Agreement through the British parliament.